Translating a US brand to Germany was never going to be an easy challenge. As Germany Country Manager for Tough Mudder, my task was to market the all-American 18-km extreme mud runs to a German audience. ough Mudder had at that time only been launched in US, Canada, UK and Australia and enjoyed huge success, often achieving over 25,000 participants per event. It is marketed as a challenge, not a race, with the aim of ensuring your team crosses the finish line together drinking a beer at the end. The obstacles are extreme (think ice baths and electric shocks) but at the same time tongue-in-cheek (think obstacle names such as Hold your Wood and Arctic Enema). The connection with the military is overwhelming, the company raises millions of dollars a year for wounded veteran charities, and offers servicemen discounts on tickets. The strength of the brand, particularly in the US, is staggering: over 10,000 people have their bodies branded with the Tough Mudder logo. The solution was of course to retain the strength of the American brand while adapting the event and the marketing strategy to a German audience. Easy. Sprechen Sie Tough Mudder? With a marketing budget of 250,000€ for year 1 we set about our task with zeal. Happily the US and UK websites were already established and selling, so we had a website template to work with and one we knew was successful. But would it work in Germany? It wasn’t just a case of having the text translated into German, we wanted to ensure the language reflected the brand’s tough but tongue-in-cheek style. The company name was problematic, with focus groups telling us that Mudder (slang for Mutter or mother in Northern Germany) just wasn’t tough enough. A local bilingual copywriter revised several versions of the website content until we were satisfied that the brand came over. We drew the line at changing the company name but, forever challenging participants to test their limits, the language on the website was made ever more provocative to encourage people to sign up. Lahm (lame) was changed to lahmarschig and Feigling (wimp) to Weichei. We challenged readers of the website to “teste deine Grenzen” (test your boundaries) and “stell’ deinen Teamgeist unter Beweis” (put your team spirit to the test). We made sure the entire website was written in the “Du” rather than the polite “Sie” form, to reflect the “all mates in it together” informality of the US brand. We fed the slogan “Wir sind Tough Mudder” (we are Tough Mudder) throughout the website to ensure Tough Mudders knew that once they had completed an event they were members of an endurance elite for life. Things got tough Back when Tough Mudder launched in 2009 in the US its primary advertising channel was Facebook. Advertising was relatively affordable and there were relatively few competitors in the field buying ads. Tough Mudder had sold 25,000 tickets per event in the US, Australia, UK and Canada purely by buying right-hand sidebar ads on this platform. By 2012 the landscape had changed, ads were more expensive with more companies exploiting the power of Facebook. Facebook penetration simply is not as high in Germany as in other countries and we learned from our focus groups that German participants erred on the side of conservative when it came to parting with their hard earned euros online, particularly on an unknown brand. Our ticket sales, while strong at first, slowed down considerably as the price of the event increased. We needed a strategy to build the brand in Germany and convince our target group in Germany that ours was a premium product worth paying for. We learned a lot about which elements of the brand resonated with the German market from those early single image Facebook ads. Pictures portraying teamwork and tough obstacles gained many more clicks than pictures of runners dressing up in silly costumes or military. From this we developed the German strapline “unglaubliches Teamwork, geniale Hindernisse” (unbelievable teamwork, amazing obstacles) which continues to enjoy success to this day. Pictures of obstacles such as Berlin Walls (4-metre-high walls) were clicked on more than pictures of Electric Eel (crawling through electrified wires), with focus groups later telling us they felt pushing their participants through electricity was verging on humiliation (despite this later being one of the most popular obstacles!). Images of participants drinking their finish line beer were perhaps unsurprisingly extremely popular in Germany. Attracting the journalists As an unknown brand, we needed the power of the German media to help us establish ourselves in our new country. We launched a PR offensive on the German media, mainly on the tv channels, inviting German journalists to take part and report on our UK events. It was an attractive sell to TV journalists, the events produce fantastic visual content. Outlets as diverse as Pro Sieben, ZDF and n-tv filmed participants jumping through mud, fascinated by this new concept set to take Germany by storm. Taff, the lifestyle magazine show from ProSieben, sent a team to run the UK event. They were scantily clad and did not finish the event, but the German media were happy with their shots of people covered in mud! Once such footage was broadcast, and supported by increasing numbers of Facebook ads, our brand recognition really gained a foothold in Germany and event numbers started to increase. Targeting the team captains Tough Mudder is primarily a team event, the aim is not to complete the event in the fastest time but to ensure all your team mates complete the challenge. We knew from our launches in other countries that it was the early adopters, or the people who had signed up early to participate while the price was still low, were our team captains. These were the people we needed to target with attractive offers and giveaways if they were to persuade their team members to sign up. We dispatched emails with such headlines as “sign up your teammates before the price increases tomorrow” and “buy one spectator ticket, get another one free” which really helped to drive revenue. New country, new partnerships Buoyed by increasing success, we knew we really had to build some local partnerships to consolidate our brand recognition in Germany, but they needed to be the right partnerships. We signed with experience portal Jochen Schweizer to offer deals on tickets to our first events as we knew that they (as opposed to Groupon) could speak directly and exclusively to our target audience. 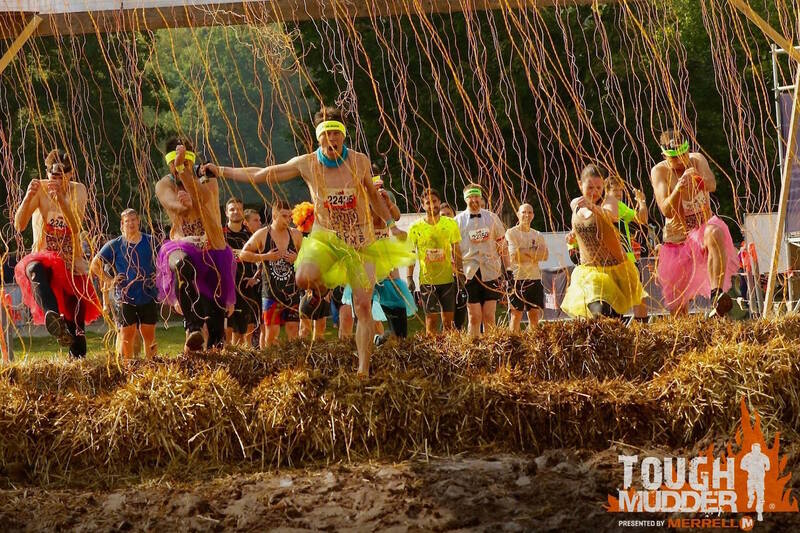 Tough Mudder as a brand not only wanted to sell tickets, but to do some good in the world too. We felt that a military charity was not the right fit for the German audience so we partnered with Hamburg-based water charity Viva con Agua where we supported them with donations from ticket sales. Their brand fit and volunteer base was similar to our own and we wanted to ensure a local charity close to people’s hearts doing innovative work received our help. The result? Over 12,000 people took part in Germany’s first Tough Mudder events that year. What worked? · A website which resonates locally with your target audience. If in doubt, test it out! · Local partnerships with ticket portals and charities also helped to consolidate and legitimise the brand in a new country and drive sales. 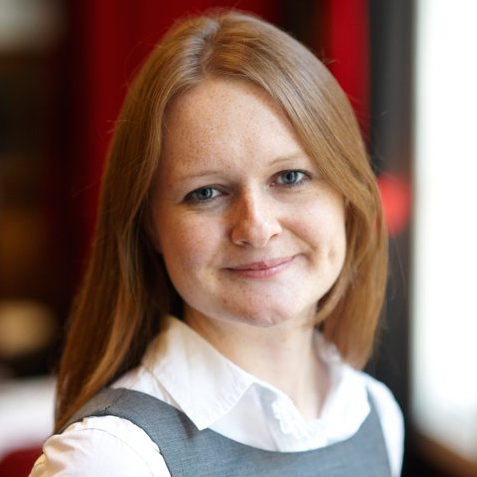 Katherine Diggory is a proven expert in marketing and communications. In the past she was responsible for the political campaign for the former foreign minister Bill Rammell of the labour party. She also lead the communication and election strategy for further parliamentarians of the labour party. From 2012 - 2015 Katherine was responsible for the concept and management of the market entry strategy of Tough Mudder Germany.